The E Pauline Johnson memorial is a memorial to the poet and performer Emily Pauline Johnson (1861-1913). Her mother was English and her father was a Mohawk chief. She would perform partially in modern attire and partially in first nations attire. Her poems were publisted. 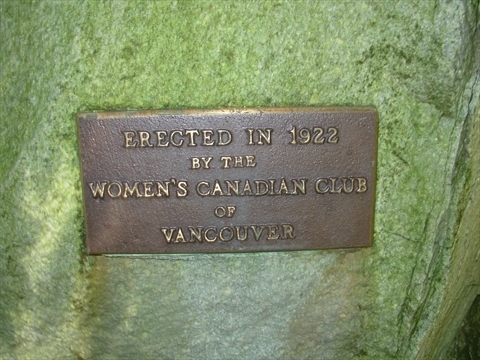 She moved to Vancouver in 1909 and continued writing. She wrote articles for the Daily Province newspaper. 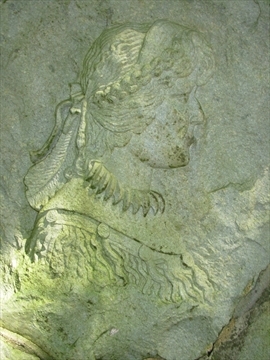 She was friends with Chief Joe Capilano who told her of the legends of the Squamish people which included many sites in Stanley Park. She is most remembered now with naming Lost Lagoon in Stanley Park because it disappeared during low tide! 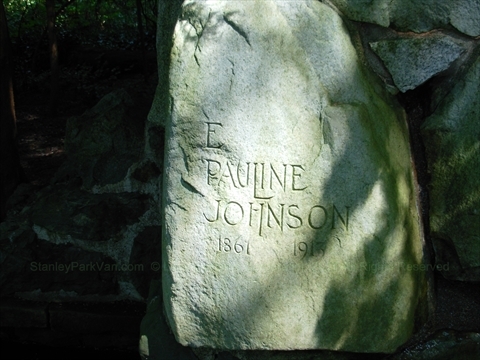 Where is the E Pauline Johnson Memorial in Stanley Park? 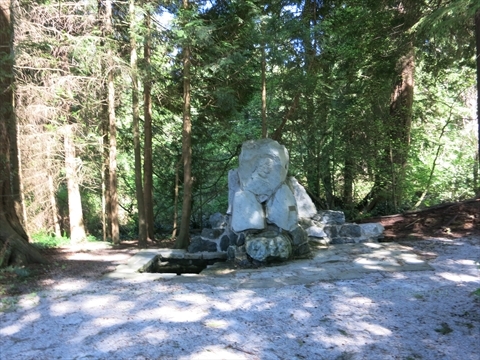 The E Pauline Johnson Memorial is located at Ferguson Point. It is at the corner where you turn right to go to the Third Beach Parking Lot across the road from the Teahouse Restaurant. Nearby is Third Beach and the Burmese Forces cairn.